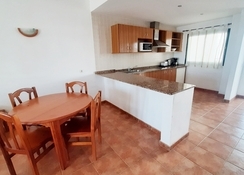 Ideal for families, couples and large groups of friends looking for a self-catering facility, the Hotel Lanzarote Paradise is a beautiful property located in Lanzarote, Las Palmas. 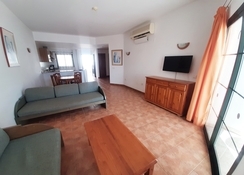 The hotel has 107 fully furnished bedrooms and studios, equipped with a lively kitchenette. It also provides facilities such as car rental, money exchange, tour desk, safe deposit, mini market and tickets counter to elevate guests comfort. And though a self-catering hotel, it has a huge restaurant that serves a wide range of assortments. Last but not the least, is the outdoor swimming pool for adults and children, where you can have endless fun under the sun and relax on the sun loungers dotted across the pool, while having refreshing drinks. The Hotel Lanzarote Paradise is nestled in a beautiful location in Costa Teguise, Las Palmas, Spain. 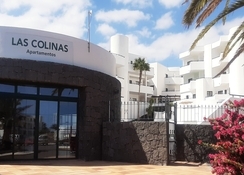 The Costa Teguise Aquapark is 450m, while the resort centre is 2.2km — the hotel provides bus service to go to resort centre. The hotel is only 15 minutes from the Costa Teguise main resort that is located close to the Costa Teguise Golf Club and Santa Barbara Tennis & Paddle Club. This is where most of the shopping malls, restaurants and bars are located. The Lanzarote Airport is about 13km from the hotel, making it convenient for the guests to board their flights on time. 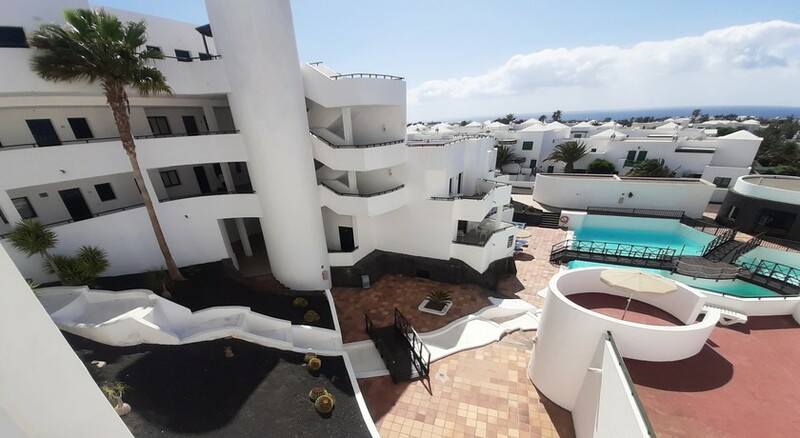 Equipped with 107 guestrooms, the Lanzarote Paradise offers three different sets of rooms namely Studios, One-Bedroom Apartments and Two-Bedroom Apartments Bedrooms. All the apartments and studios have the necessary amenities that include CD Alarm Clock, LCD TV, food service, pets allowed, coffee maker, Wi-Fi, direct-dial phone, safe and much more. 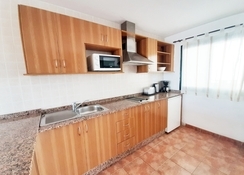 The rooms are extremely spacious, clean and modern, and have wooden furnishing. Each room has its private balcony and a bathroom with shower. Facilities such as safe deposit, cots and cribs are provided upon request. The Hotel Lanzarote Paradise houses a restaurant, bar and a pool bar providing breakfast, lunch and dinner from 8:30am – 11pm. Both the bar and the restaurant are well furnished with comfortable seating and professional staff members. The restaurant serves local and international dishes, or if you want to explore more, you can step into one of the restaurants and bars that are a few steps away, where you will not only find Canarian dishes, but a wide range of European, Italian and Asian delicacies. The Hotel Lanzarote Paradise has two swimming pools, one for kids and the other for adults: these pools come fitted with sun loungers and parasols. It also offers few indoor games such as foosball, pools and table tennis. It will be an exciting time for the golf lovers, as the Costa Teguises Golf Club is 2.4km from the hotel. Beach lovers can also have fun in the nearest beach with a range of water sports like snorkelling, scuba diving and much more. we loved our accommodation and were upgraded, the view from the balcony was wonderful and the facilities in the apartment were excellent. i would recommend. Lovely hotel very pleasant staff, rooms are very clean and spacious , only problem was the town centre was quite a walk away, but they do provided a shuttle service. We (family of 4, 2 kids aged 8 & 6) went for a 12 night holiday and stayed in the Lanzarote Paradise. The hotel is clean and the rooms are big which is good. Decent location and the pools are nice (fair bit of wind but can't blame anyone for that!). The hotel was basic and as expected from reading previous reviews, the staff were ok but we had a family staying near by who let their kids run absolute riot until well past midnight (don't get me wrong I've got kids and don't expect them to be quiet or even well behaved, but when you've got kids screaming at the top of their lungs at 11/12pm and running round all of the walkways to the apartments then I draw the line) which was very disruptive and caused us to have evenings that tainted our stay, we reported this on the 3rd occasion of it happening but the hotel weren't very keen on doing anything about it (probably because the parents were busy spending heavily in their bar!) Which is ultimately the reason for the 3 stars, that coupled with the dated apartments. Having said all that you get what you pay for (other clientele included apparently) and we had a nice holiday at a very affordable rate.